Canadian businessman and “Shark Tank” television personality Kevin O’Leary has a penchant for big ideas, but when it comes to U.S. equities, he prefers the small caps. With tax reform on their side, O’Leary sees more investment capital flowing into these small capitalization companies versus their larger cap brethren. “I say there is 20 percent more cash to come to these companies in the next 24 months through tax reform, so I am staying on this trade. I am betting they continue to outperform not only the S&P, but maybe even emerging markets. 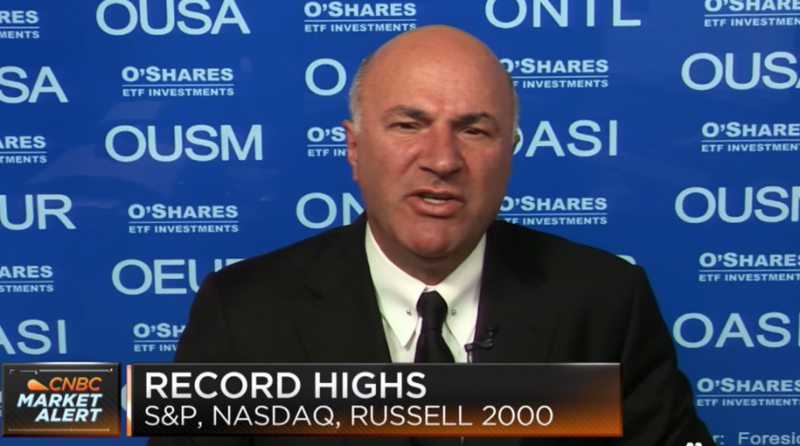 There is tremendous value to be unlocked in small caps in America,” said O’Leary. Looking at the year-to-date charts for the Russell 2000 as a barometer for small caps and the S&P 500, the small caps are in the lead at 11.48% versus 7.18% for the large caps. According to O’Leary, this could be a recurring trend for the next two years as a result of enhanced cash flows due to deregulation in specific states that benefit small companies.